Ebisu is our favorite Japanese Restaurant. It is best to take a seat at the counter where you will get excellent service. Bill Bishop and I always sit at the counter, which brings you closer to the sushi chefs. Some of our favorites dishes are the Live Scallops with Tempura, Cucumber Salad (Sunomono) and the Chef’s Choice Sashimi Appetizer from their lunch menu. The scallop is removed from its shell and prepared just after it is ordered. The shell holds a light dipping sauce and the tempura that comes with it is delicately prepared moments before it is served. Ebisu is on 9th Avenue at Irving in the Sunset near Golden Gate Park and plenty of parking is available in a metered lot nearby. Lucca’s is one of the last authentic Italian delicatessens in San Francisco. Located in the heart of the Mission at 22nd and Valencia, Lucca’s is the perfect spot for Sicilian olive oils, vinegars of all kinds, cold cuts and fresh handmade pasta, ravioli and cheese. Imported tomatoes and Italian wines are essentials. 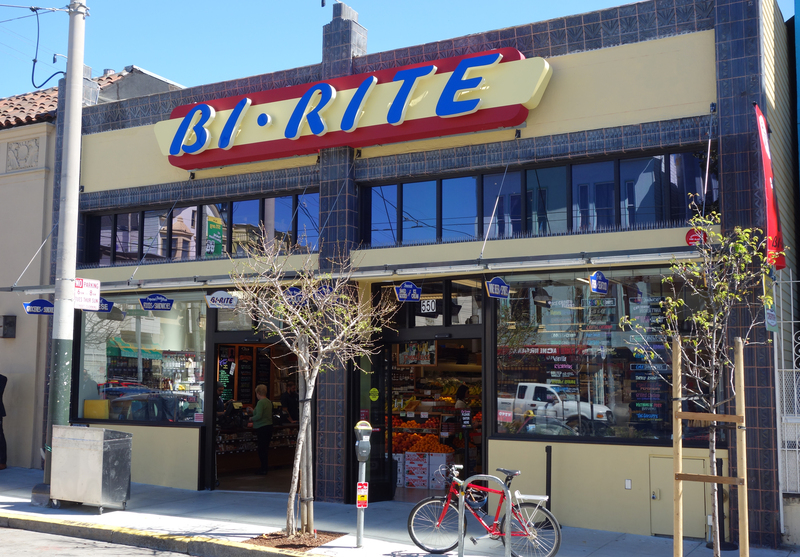 Shopped at the new Bi-Rite grocery store on Divisadero Street. Read an article about them in The Chronicle and had to check it out. Their grand opening was only two weeks ago. What a treat this store is! This store feels very similar to the original store on 18th Street, but the new one has much better light. 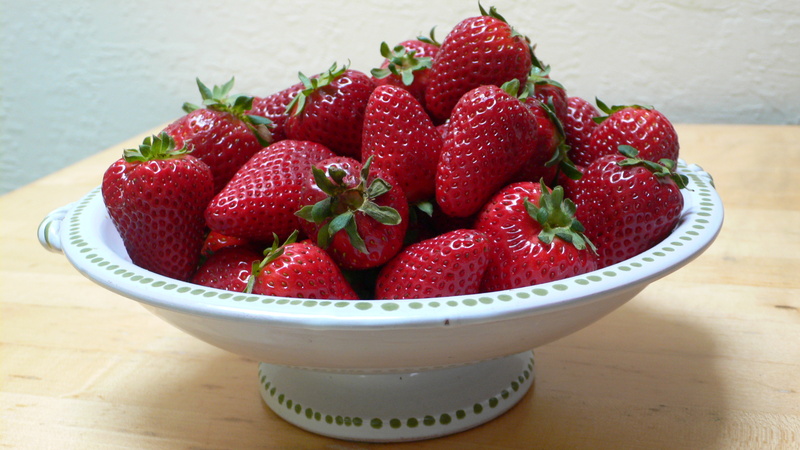 Fresh fruit and vegetables, their famous ice creams, wines and cheeses, meats and poultry. I shopped for an ad-lib pasta sauce: spinach, spring onions, chives, tomatoes, mild sausage and Estero Gold cheese from Valley Ford Cheese Co. Had to try their salted caramel ice cream, it was delicious. Baby Artichokes (feb-may) $3.00 lb. Red Butter Lettuce, Dirty Girl Farms last avail. 3/12/11. Acme Green Onion Slab Bread.